Boston Is Booming, But Is HQ2 Going Overboard? As Boston loiters in the HQ2 purgatory awaiting Amazon’s short list, two of its biggest names in CRE think the city is on solid footing. But that does not mean Beantown is invincible. Boston’s unemployment rate is 3.1%, which Percelay said is effectively zero. Tech companies in Massachusetts have already been grumbling about how difficult it is to hire for smaller firms, and Amazon’s second headquarters would ultimately look to hire 50,000 new workers. A CBRE study noted that, despite Boston awarding more tech degrees than any other market, it also has the smallest growth rate in tech jobs. Critics have argued tech talent leaves town because of its perceived second-tier status as a tech hub, compared to the Bay Area and Seattle, but the arrival of Amazon could change that. Having a $5B, 8M SF giant does send the message the city is serious about tech, but others say the scene is already here. Davis recognizes there is a war for talent, but he said the city is at a point in a virtuous cycle where younger talent wants to stay in Boston after graduation. He points to “new economy” companies like LogMeIn and Autodesk converging in the Seaport with more established brands, like Fidelity, General Electric and Reebok, as a sign of a growing innovation hub that will continue to flourish into the new year. It has grown significantly from when The Davis Cos. first owned the Innovation and Design Building (then the Boston Design Center) from 1998 until 2006. The Davis Cos. is developing the 1,054-room Omni Hotel across from the Boston Convention & Exhibition Center, which he said is possible due to the tremendous amount of energy being drawn to the Seaport. Davis is also repositioning the 376K SF 88 Black Falcon Ave. at the eastern edge of the Seaport. The Mount Vernon Co. knows this, as it pushes ahead with several projects in Allston. Percelay’s 132-unit project at 530 Western Ave. will serve as a gateway to Boston from the west and will send a clear message this part of the city is undergoing a seismic change. Additionally, Percelay has taken the lead working with city, state and federal governments in planning improvements to Western Avenue and Leo Birmingham Parkway. Percelay said the luxury multifamily market in Boston is overbuilt, which is why his company is building high-amenity products in Allston at 30% to 40% less than prices in downtown. But Percelay and Davis stress Boston’s overall success could be short-lived if too much disruption happens to the tax code, both on a state and national level. Connecticut’s loss has been Boston’s gain. It has managed to poach General Electric from Fairfield and Alexion from New Haven. While Davis thinks Boston’s economic drivers are resilient, he is still concerned by tax reform and the move from an era of quantitative easing to one of quantitative tightening. 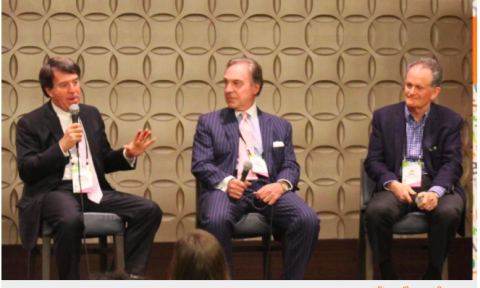 Hear Percelay, Davis and other panelists discuss what is in store for Boston next year at Bisnow's Boston 2018 Forecast event Dec. 13 at the Westin Waterfront.